“Electronic wills are coming, whether lawyers like it or not,” blared a recent Forbes Magazine headline. The tone implies this is a definite “don’t like” for Florida estate lawyers. There is truth to this, but not for the reasons one might presume. 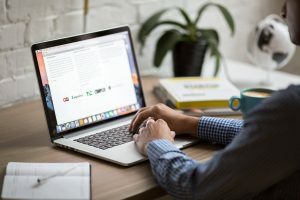 Electronic wills, or e-wills, are boilerplate legal documents purchased online, electronically signed and for a fraction of the cost of visiting an estate planning attorney. (These documents also exist for things like Florida power of attorney, health care power of attorney and even prenuptial agreements, but each is a separate discussion). The presumption is estate attorneys may have their feathers ruffled that potential business is going to a bot. However, the real reason so many Florida estate attorneys are concerned about the prospect of widespread e-wills is their potential for serious error, abuse and fraud. The worry is that this could lead to a substantial uptick in otherwise preventable Florida will contests (where the validity of a will is challenged on grounds like undue influence, fraud, lack of capacity or lack of formalities). Objectively by comparison, estate planning services are generally less expensive-time consuming. Electronic Wills Can’t Be All Bad – Right? In defense of e-wills, people are busy and increasingly comfortable the breakneck pace of evolving technology. It’s cheaper and, at least in the short run, a bit more convenient – particularly for those “only making a few changes” to an existing will. It may increase the overall number of people with some type of will, which in some cases (not all) can help to clarify decedent’s wishes and expedite the process. So no, the prospect isn’t all bad for consumers. You should know, however, that it’s not consumer advocates currently making such an aggressive push to move legislation on this front. It’s technology upstart venture capitalists. It’s unclear to what extent consumers may be able to rely on electronic will technology systems to meet minimum state formality requirements, verify authenticity, shield against fraud and retain records. These firms don’t provide legal advice and will likely state upfront any error you make – whether due to a typo or not fully understanding the question – it won’t be on them. In light of this, it’s probably not a bad thing that the legal field of Wills, Trusts and Estates is a bit more resistant to change than even most other areas of law. Nevada is the only state as of this writing to adopt an electronic will statute, but more are likely to come – including in Florida. Two years ago, state lawmakers introduced the Florida Electronic Wills Act, which would have expressly allowed electronic wills in Florida. The measure passed muster with the majority of state senators and representatives – only to be vetoed by the governor. Potential for non-Florida residents to bring their electronic wills into Florida probate, potentially creating a bag log here with complicated cases if the testator (will creator’s) home state doesn’t accept electronic wills. Major potential for fraud with a provision that allowed “remote witnessing and notarization.” This perhaps was the most concerning provision, as it would have allowed testator – and the two mandated witnesses plus notary – permission to “sign” documents electronically simply by typing their name. No requirement was indicated for verification by a trusted encryption service. The bill would have even allowed video conference signatures. That last provision alone would have opened the door to a lot of potential fraud – and likely a flood of Florida will contests. It’s not that courts wouldn’t deem some of those wills valid, but a system that might allow alteration of one’s entire estate or inheritance just by typing another’s name – without so much as a PIN – would be rife for challenge. It’s possible even today for those with smaller, uncomplicated estates with no warring relatives to have a DIY will conforming to all existing statutory requirements recognized and affirmed by a Florida court. The problem is people don’t realize how complicated their “small” estate is all the potential pitfalls that come along with making your own amendments to an existing document. Ensuring your will has the right combination of technical legal terms on a page is only a small part of what Fort Lauderdale estate attorneys do. We’re ensuring it meets your wishes, advising on the best estate structures to make that happen.